You never know who you're going to run into at Premiere Cinemas! 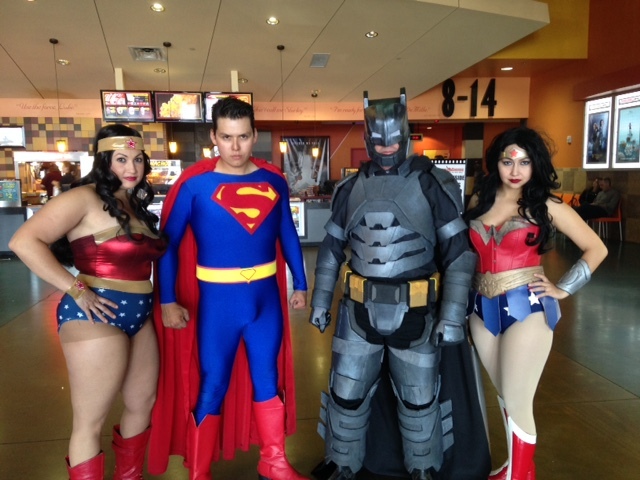 These dynamic forces of nature all appeared in costume at Rio Rancho's Premiere to celebrate and enjoy "Batman v. Superman" on the big scrreen opening weekend. The movie was enjoyed by thousands who had photo opportunities with these enthusiastic cosplayers from the movie. Premiere hosted StormTroopers, Chewbacca and other Star Wars characters recently as well, and looks forward to Captain America and excpects other notable visitors to be stopping by and mingling with guests on upcoming premiere weekends.